As essential as B-12 is, it can be tricky to get enough in your diet. Foods that contain B-12 include red meat, organ meats like kidneys and liver, eggs, yogurt, and cheese, and seafood — definitely a problem for vegans or vegetarians. Additionally, many people, especially adults over 50, have trouble absorbing B-12. Commonly prescribed drugs can also cause nutritionally deficiencies, including Vitamin B-12, which have been linked to many health conditions. 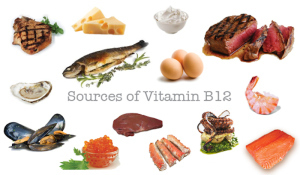 Vitamin B-12 is one of the more discussed vitamins and for good reason. It is important for your health overall as it helps several organs and systems in your body function properly, including the brain, the nervous and skeletal systems, DNA replication and energy creation processes. Let’s take a look at a few reasons why it’s important to make sure you’re getting enough Vitamin B-12.